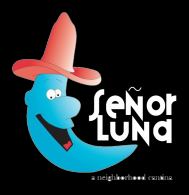 The food here at Senor Luna's is fresh, simple and authentic. Everything we serve here is big, starting from our burritos all the way down to our economy size cocktail! We use the freshest ingredients available. No shredded meats here! Only the best. Be sure to try everyone's favorite "The Mombo Combo" Fajitas which features a combo of steak, chicken and shrimp. Stop in after work for Happy Hour... We're your favorite Relaxation Point... We're not corporate, just your favorite Neighborhood Cantina!! Happy Hour:Monday - Friday2-6pm 1/2 Price Margaritas, Rail Drinks and Domestic Bottles MONDAY:FREE Pool Open - CloseTRIVIA TUESDAY:Trivia Starts at 8:30pmFRIDAY FISH FRY:Enjoy our Dos Equis Amber Beer Battered Fish Fry with Homemade Potato Pancakes or FriesSUNDAY FUNDAY:1/2 Price Margaritas, Rail Drinks and Domestic Bottles ALL DAY AND NIGHT!! !